Welcome to the worlds most visited country with over 84 million visitors sampling a diversity of cultural experiences encompassing medieval and port cities, tranquil villages, mountains, Mediterranean beaches and buzzing cities. La vie est belle. Welcome to the worlds most visited country with over 84 million visitors sampling a diversity of cultural experiences encompassing medieval and port cities, tranquil villages, mountains, Mediterranean beaches and buzzing cities. Enjoy the romance of Paris by night by taking a dinner boat cruise down the Seine or have one of our driver/guides give you a personal tour of its historic sites and hidden gems. Take in glorious Provence with its local markets, lazy day and relaxed lunches sampling local wines and delicacies whilst soaking up the sun. Thierry will assist you with any questions you may have and to provide you with guidance in order to ensure that you enjoy an amazing experience. France’s official name is the French Republic (République Française) – it became a republic in 1792, after centuries of royal rule, as a result of the French Revolution. The Louvre Museum in Paris was the most visited museum in the world in 2014 – with an amazing 9.3 million visitors, it received almost the same amount of people as the population of Sweden ! There are 41 categories of sites in France listed on the UNESCO World Heritage List, including 3 Roman sites, 4 cathedrals, 4 abbeys, 8 historic city/town centres as well as numerous belfries, castles and palace. The worlds third most visited city with so much to see and do. Museums, Palaces, Monuments, Shopping, Fine Dining and Restaurants and Bars of incredible quality and diversity are all there to be sampled at your leisure. To ensure that you maximise your time we will arranged tailored bespoke tours using expert drivers and guides in executive air conditioned vehicles. That way you get to see what you desire at a pace you want. 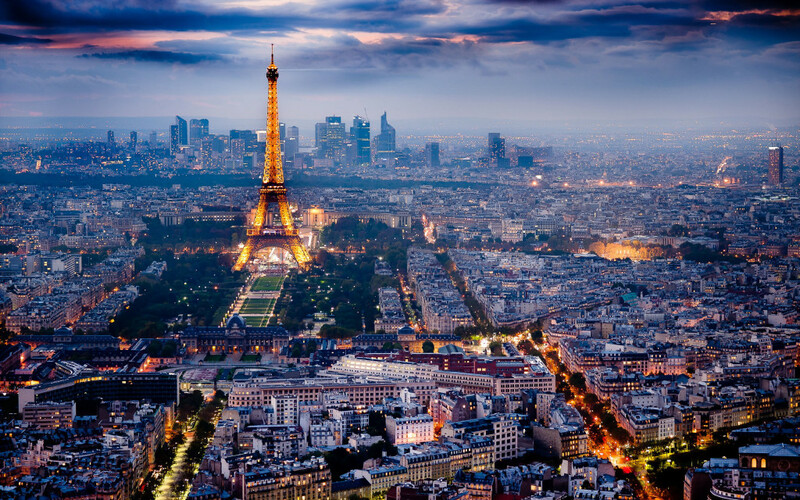 Experience Paris by air by allowing us to provide you with a helicopter tour. One of the historical turning points of the 20th century happened in France. The Normandy landings…The Caen memorial, Omaha beach, Sainte Mere Eglise, Pegasus bridge or the American cemetery of Colleville are among the several sites we can guide you through. However, there is more to see than just these historic sites as Normandy has some fantastic coastal and inland tranquil towns and local delicacies on offer and a great place to unwind. This area of the country is known around the world for its « Chateaux » out of which Chambord, Chenonceau, Cheverny or Amboise are very famous. Whether you want to discover those or some of the 17 remaining ones along the Loire river and know about the French renaissance let us know. We will be able to either offer helicopter services or provide you with your own private guide. The legend says « Around the rock, was a deep forest. At the beginning of the 8th Century, the forest disappeared: engulfed by the sea during an enormous tidal wave. And it is on this rock, lost in this immense bay, between sky and sea, that the men of the Middle Ages built Mont Saint Michel…. » if you want to know more about this unique location which is the third one most visited in France, let us know. This area offers 300 days of sunshine per year and is the second tourist destination in the country after the Paris region. Who has never heard of places such as Monaco or Nice with its famous promenade des anglais and the capital city of the French Riviera, Cannes and its film festival and its palaces or Saint Tropez a small southern village known around the world whose visitors included Brigitte Bardot , Picasso , Elton john , Leonardo di Caprio or Naomi Campbell). If you desire a much more studious discovery of this part of France we can offer visits to several museums (Matisse, Chagall, Cocteau…) or other cultural and historical venues (Pope’s palace in Avignon, Oceanographic Museum in Monaco, Russian cathedral in Nice.) This part of the country linked to Julius Caesar and Napoleon which at one point was Greek became part of Italy and returned to France cannot be summarized within few lines, you need to see it in person. Skippered cruising is a great introduction to Frances inland waterways. Cruising along at a leisurely pace allows you to enjoy the views of rural France. It's a chance to re-charge your batteries, relaxing in the peace and tranquility of the countryside. It can be a time for you to indulge in your favourite pastimes - fishing, painting, photography, birdwatching, or just watching the world pas by with a glass of Sancerre or Medoc as your companion. Emerald VIP Services offer a bespoke door-to-door “Meet & Greet” transfer service across multiple airports in France. We will have a concierge agent meet you at the door of the aircraft on arrival and fast-track you through formalities to kerb-side where your luxury chauffeur service awaits to transfer you to your Hotel or place of business. 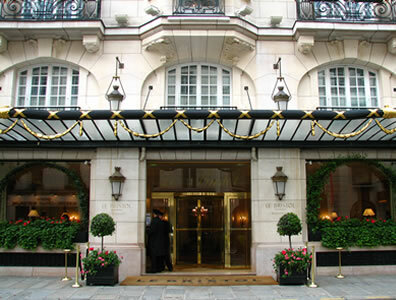 Enjoy the unique Parisian style of Le Bristol, which became the first hotel in France to earn the distinction of a being designated a “Palace hotel". Located on the iconic Parisian shopping street, Rue du Faubourg Saint-Honoré, this exceptional building is a stone's throw from the Champs-Elysées, Place de la Concorde and Avenue Montaigne. It is just a few minutes’ walk to the Tuileries Gardens, the Louvre, the Musée d'Orsay and the Garnier Opera House. 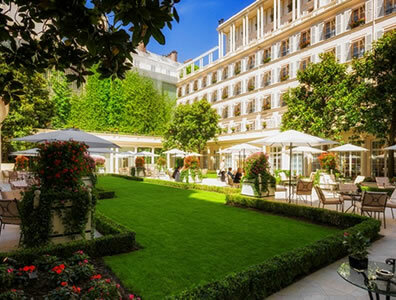 Le Bristol Paris offers its own definition of luxury, elevating service to the highest standards through talent, mastery and sincerity, and thereby creating a unique experience. The rooftop swimming pool boasts outstanding views over Montmartre and the Eiffel Tower, while the 188 rooms, suites and event spaces, are all spacious and bright, flooded with pleasing natural light. Le Bristol Paris is a bastion of gastronomy, with four Michelin stars awarded between the highly exclusive restaurant Epicure and the brasserie deluxe, 114 Faubourg. Located on the French Riviera, near the lively towns of Cannes and Monaco, the Château Saint-Martin & Spa is situated in Vence, where France can offer you the very finest of life. Formerly a 12th century Templar Knight fortress, the Château Saint-Martin & Spa is today a 5-star luxury property offering 51 guestrooms, nestled in the heart of the Côte d'Azur. 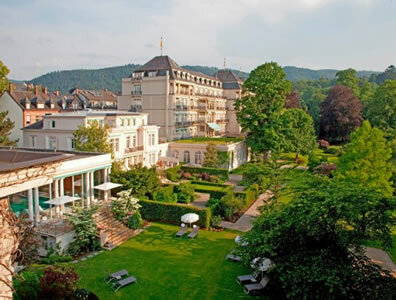 The Château Saint-Martin & Spa is a place where guests can relax and enjoy a world of leisure. From its tranquil surroundings, rich Art, gastronomy, and all the sensual pleasures of France are within easy reach. Here one can enjoy the most naturally beautiful swimming pools on the Riviera, tennis courts and Spa Saint-Martin Sisley. There are also two excellent golf courses nearby that can be reached by limousine or helicopter (using the hotels private heliport). Guests can also enjoy private beach facilities on the Cap d’Antibes. 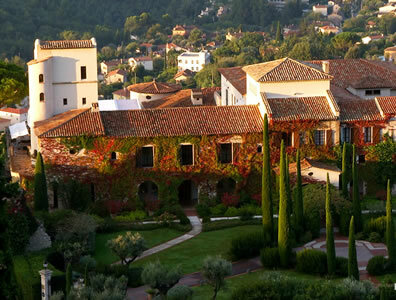 While Château Saint-Martin & Spa is renowned for Michelin star cuisine, any dining here is always an exceptional experience, from lunch in the shade of an ancient olive tree, to dinner in the gastronomic restaurant with sweeping views over the countryside leading down to the glittering Mediterranean.